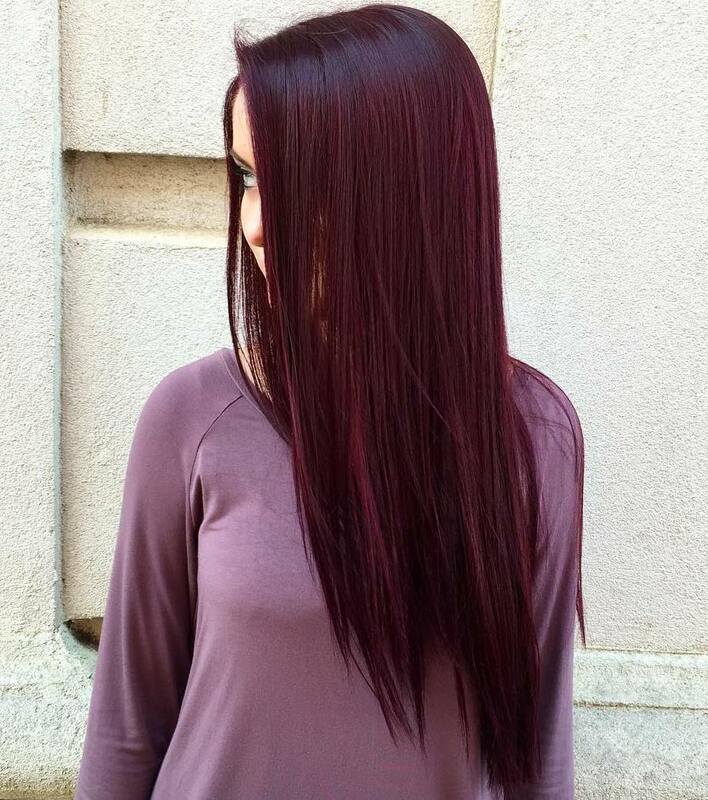 When you will appear in public with an attractive maroon color hair you won’t remain unnoticed. You will become a detonator of any party. The straight hair dyed in this color will shine with a royal beauty. To maximize the effect of the hairdo dampen your hair and dry it with a blow dryer for extra volume. With this simple model you will gain an outstanding effect that will amaze everyone around you. The hair of cotton-candy color is something that will catch people into the trap of your charm. 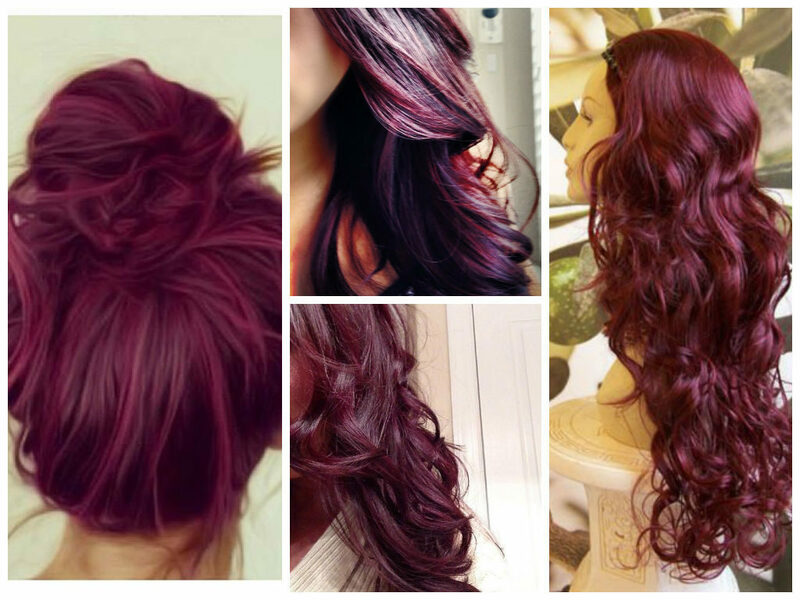 The attractiveness of the burgundy hair color should not be underestimated under any case. 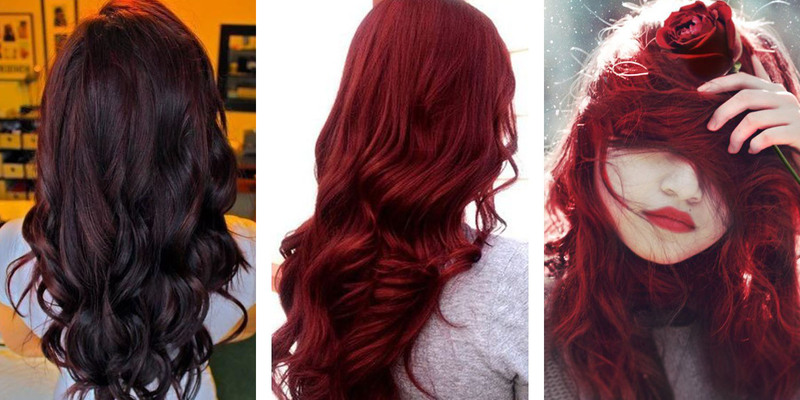 When the hair strands are layered, they form a unique texture of crimson that envelopes your face into various shades of red. This is a wonderful choice for ladies who wish to look extravagant and beautiful. It is hard to find a person who doesn’t like cupcakes and the velvet sugar covering of the delicious tasty thing can become your hair color. “Why maroon color?” – you can ask. The answer is simple – it is very attractive and rich looking color. 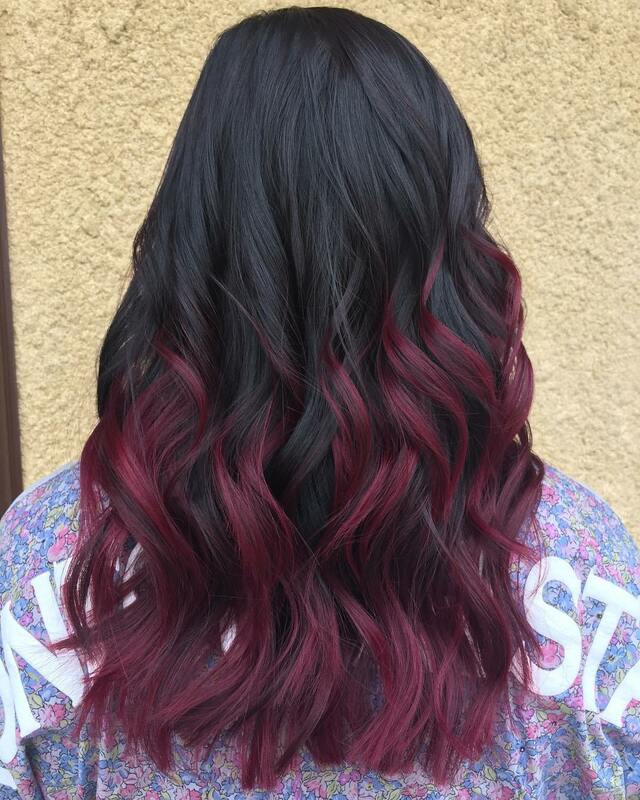 If you want to achieve a fabulous look, pick a long maroon color hairstyle. People will surely say “sweet” about your overall air. An option with a dark maroon color grants an elegant, reserved and classic image. You will look natural while using one of the most unnatural colors. This shadow purple color will become highly noticeable. In the evening it is an excellent attractive hue, until you enter direct sun rays. When this happens, your hair will sparkle with a splendid glamour. 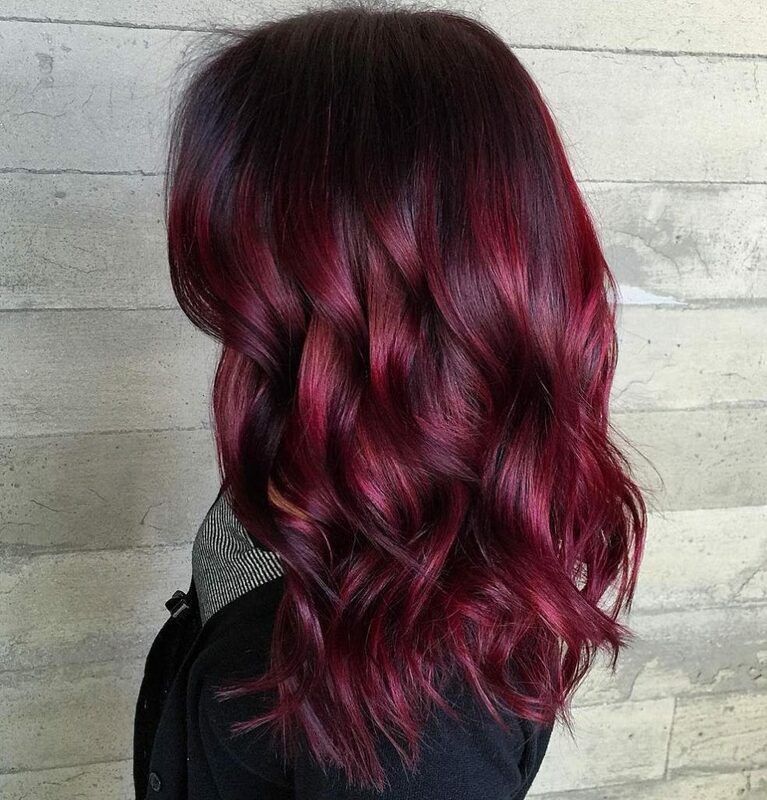 The burgundy maroon color is the color that totally transforms the image of the owner of such hair. There are various hues of the color with totally opposite effects. The dark one is more appropriate for a calm reserved person, while the lighter one is more appropriate for a passionate and fiery character. So if you prefer this color you can pick the one that describes you best. 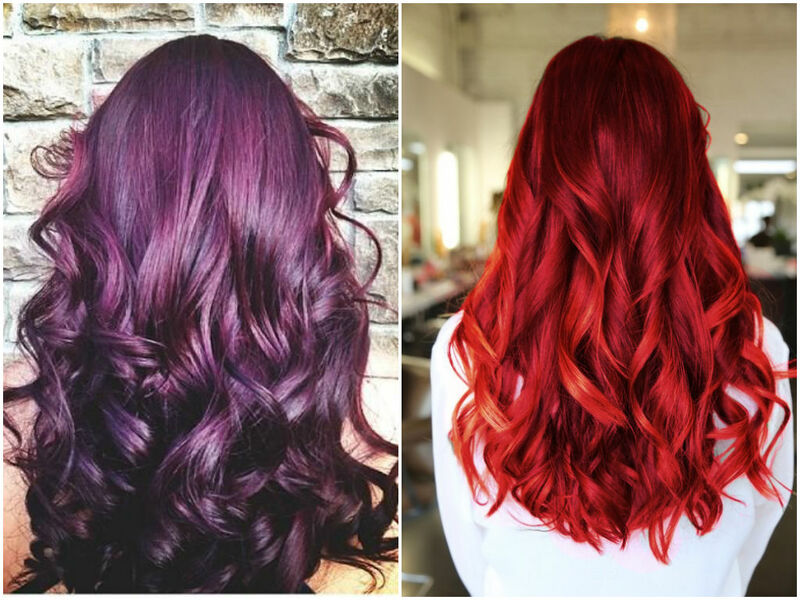 Dark red hues look perfectly well both with straight hair and wavy one. The image of a good girl would be more appropriate with a wavy hair. It looks so charmingly innocent and pretty that makes this lady as cute as paradise. The straight hair is better looking with an image of a tough girl. Just try it out and you will definitely adore your newest image. 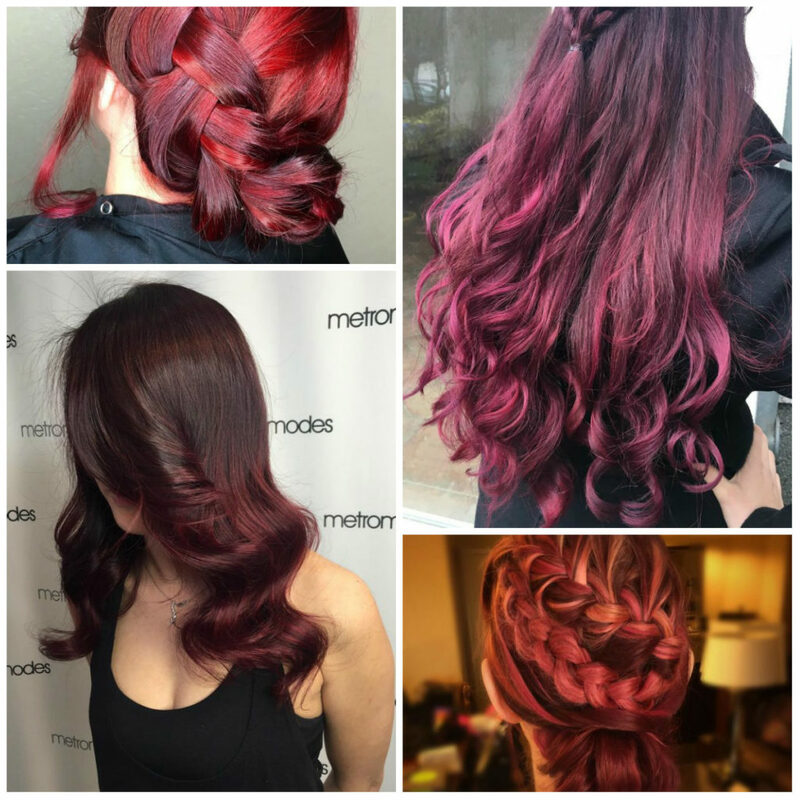 Mix the images of the marron colored hair as all the variations look perfectly gorgeous. The long straight and wavy variants are good for some fabulous romantic evenings and they would be perfectly matching with medium dark and olive complexions. The variant with short asymmetrical bob is a modern solution for a casual wearing as it is very low demanding hair design. All the options are equally suitable for a beautiful woman. If you are searching for a dazzling hair design variant, an attractive richly decorated image with wavy lock would be a superb image choice. Just use one inch iron to make miniature luxurious waves and in a few minutes you will obtain a festive hairdo that is not only adorable, but also practical. It can be organized into a fine attractive hair bun that is made of wavy hair. 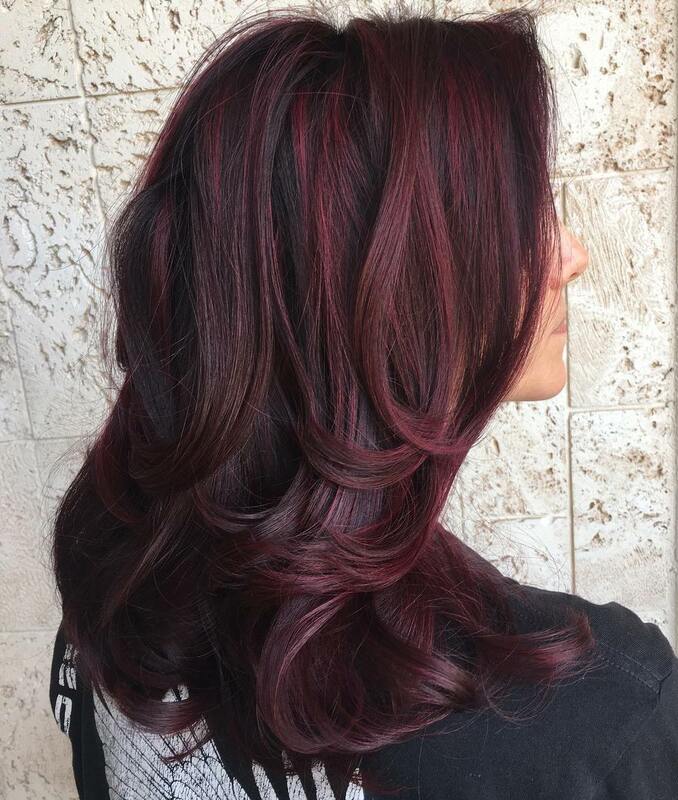 It is a good idea to combine two hues of burgundy hair for a more voluminous effect. The darker hair is placed in the roots and the lighter is on the wavy tips. It benefits an attractive look of the lady. The versatile combination of the hues is something that every woman might desire. Rich and elegant image with minimal efforts, isn’t that all that a woman might desire? If you think of transforming the standard look of the hair, you can apply a plating technique to get a marvelous dreamy air. Create a one sided wide plate at the back of the head. It would make you very cute. You can try to add a ribbon to the plate and it will add even more charm to your overall style. 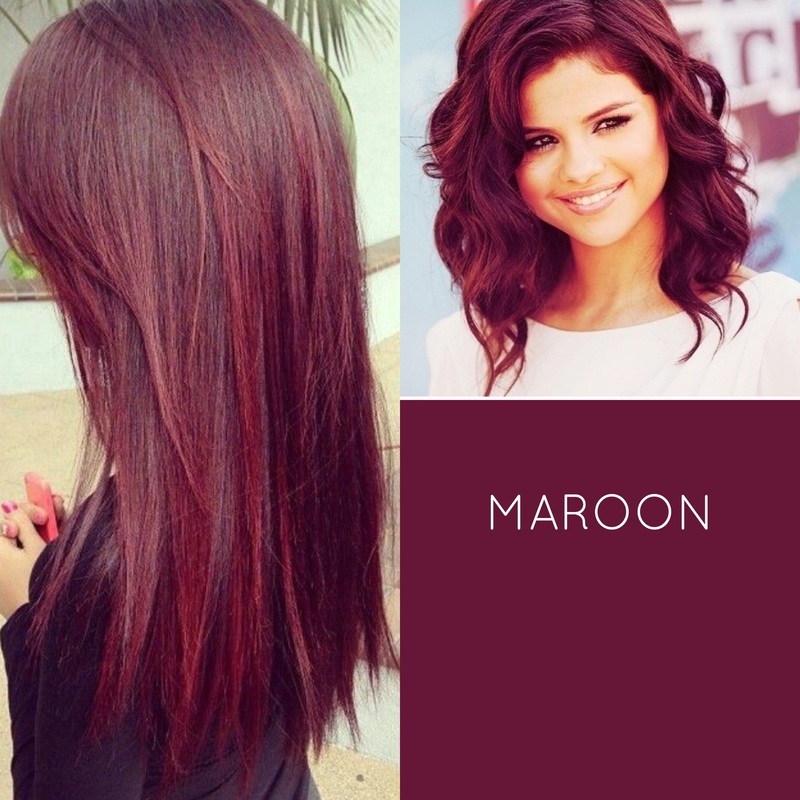 In combination with a maroon color it will be especially effective. The hair of an amethyst precious stone color is something that will be noticed by people around you. 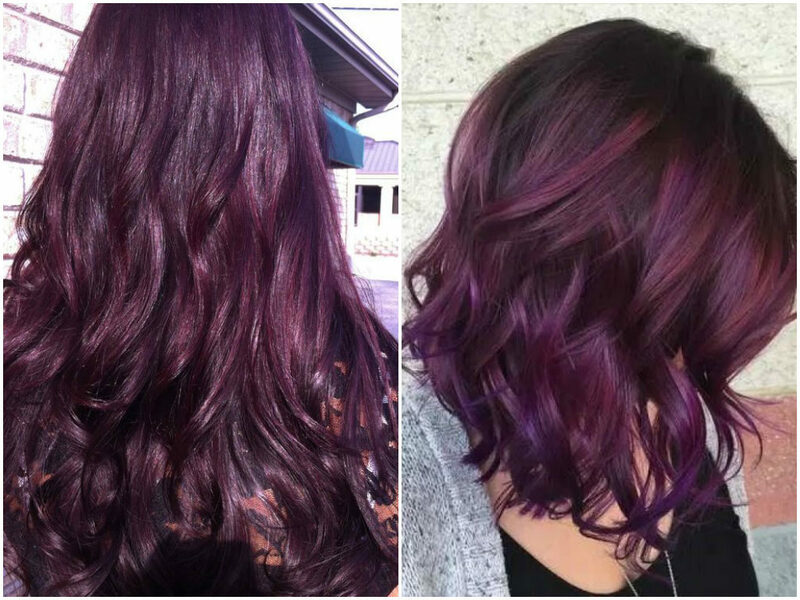 You will definitely want to upgrade your image with a new color. The Maroon color has recently become very popular and is being select by many women each day. The radiating glitter of the color is something that serves as the main reason for choosing it. The mermaid style is something that is very popular nowadays. This color grants a fabulous look that would be perfect in any daily occasion. This color would be a wonderful variant for a lady with an ivory complexion. You will definitely resemble a deep sea being that will look really outstanding. Take on an image of a mermaid and surprise everybody with an unusual hairdo. If you like maroon color, but do not want to dye an entire hair into the burgundy hues, you might think about dying the tips of the hair into this color. The purple flashes that are contrasted with black background look like some fantastic tongues of flames. If the tips are slightly curved, they will be more attractive and stylish, so picking this variant of design is a wise choice. The maroon color provides the owners with a wide range of designs. Buns, straight, curly and wavy hair – everything is available to make the look simply gorgeous. 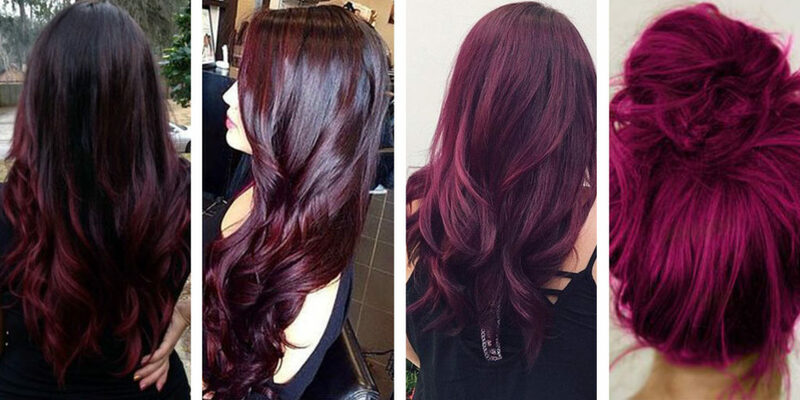 Pick the design of the burgundy color and it will be really adorable. Select what you want more: an attractive festive image or a standard casual hair model. All variants are equally possible and will match your style creation. 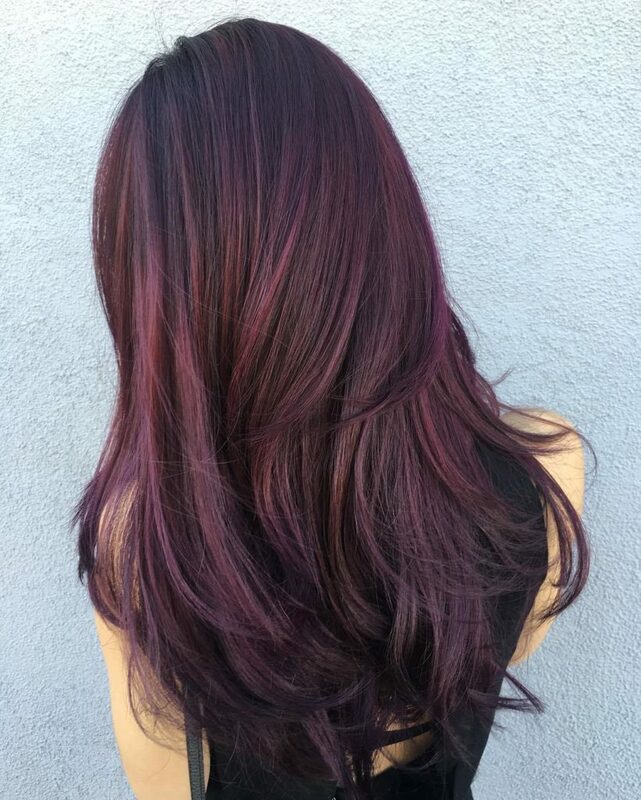 If you want a time saving hair color that does not require frequent dying, get ready for picking a maroon color. This color is enduring one and it will serve you well for a long period of time. 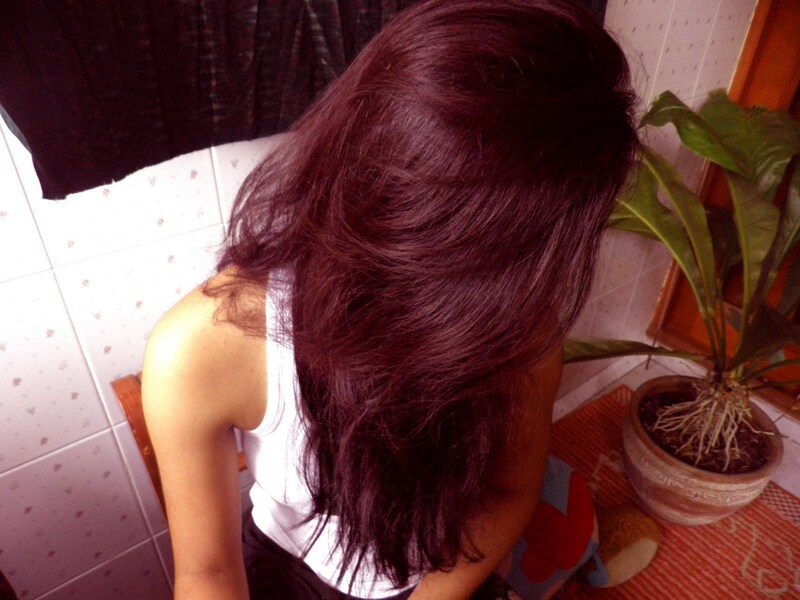 And even if your hair grows fast, the maroon color will look like a stylish ombre so you won’t have to think about urgent dying when you see the roots of the hair. If you don’t feel like trying on a bright maroon color, you can try out the variations of the crimson tone. The reddish brown option is not as intense as bright maroon color. This color is calmer and as beautiful as other options. You can try out this variant and you will be satisfied with the variants that are available for you due to a wide spectrum of the colors. 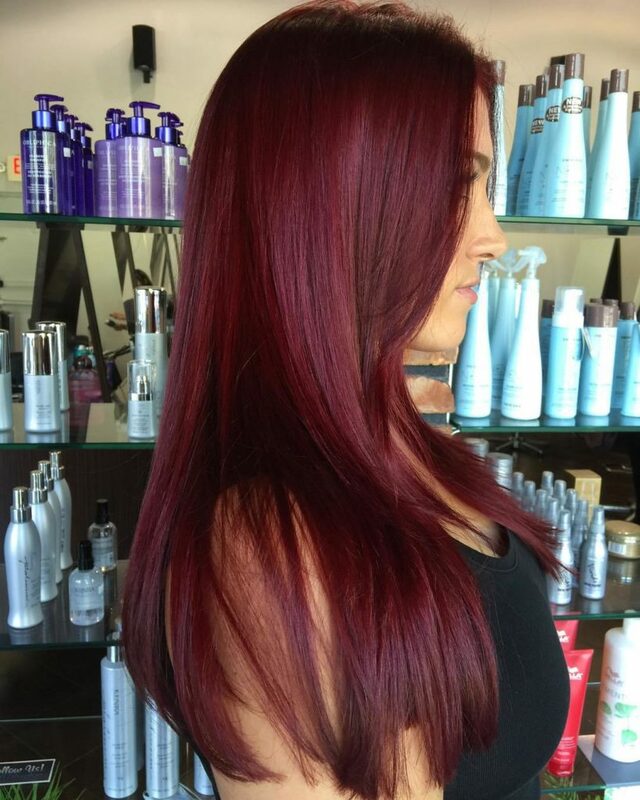 If you are currently searching for a hair color that can grant you a fine sophisticated look, consider choosing the maroon color. It is like cherries melted on your hair which turned them into dark red. 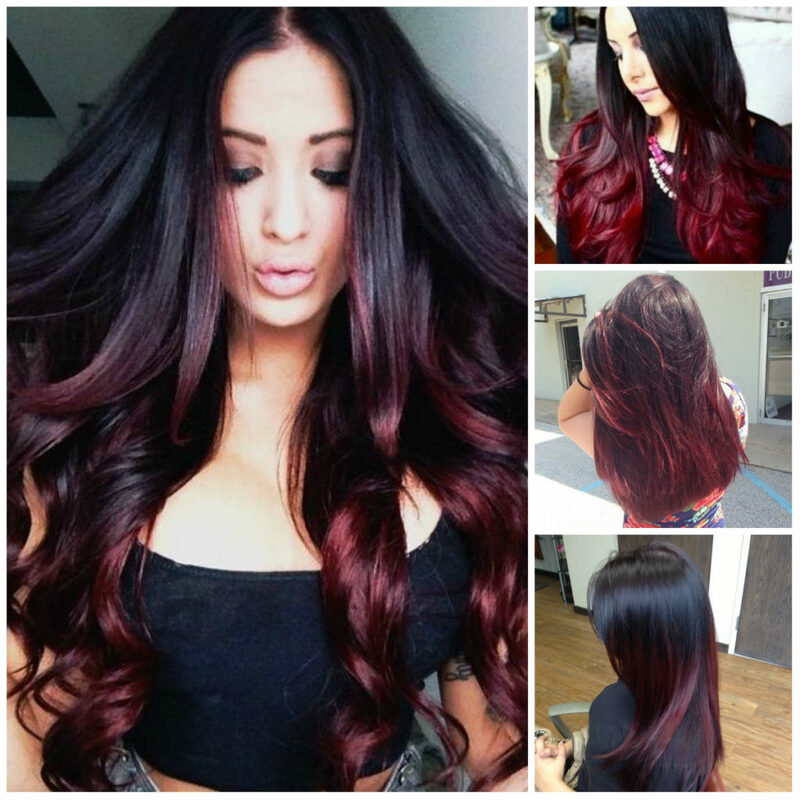 It is a gorgeous looking option that will surely satisfy your desire for an excellent hairstyle. Just try it an check if it was the one you were looking for. If you were searching for a unique design of the hair, go for ombre hairstyle. 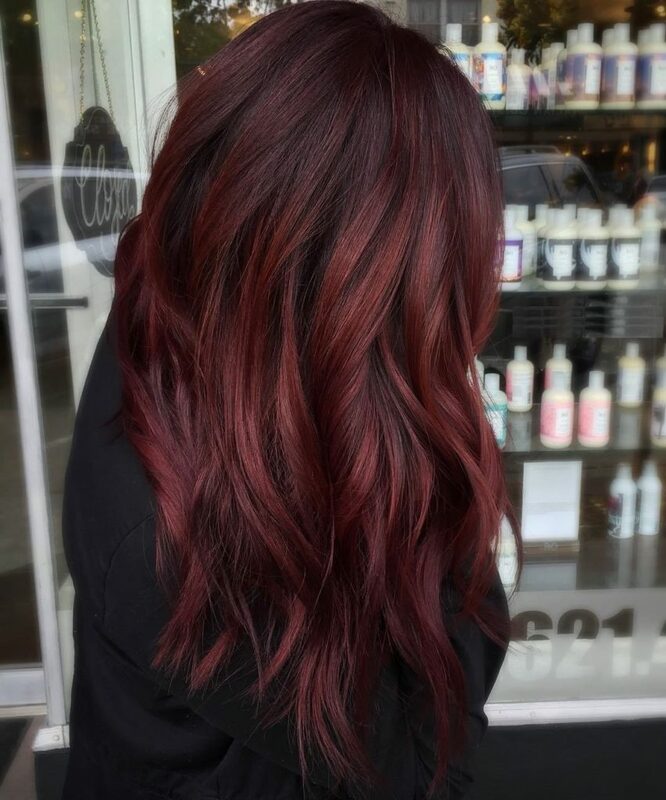 Here we’ve got a splendid combination of fine black color and beautiful crimson tips which make the hair look like a live burning flame on the head. Doesn’t it sound fabulous? If you like this idea, try it out and you won’t get upset with your new look. This color is often referred to as cotton candy color. It is an excellent choice for teenage girls and cheerful adults. It is a bright and joyful color that looks quite adorable. The locks of such hair are very charming and cute. The moment you will dye the hair you will obtain a charming image of a magical fairy. 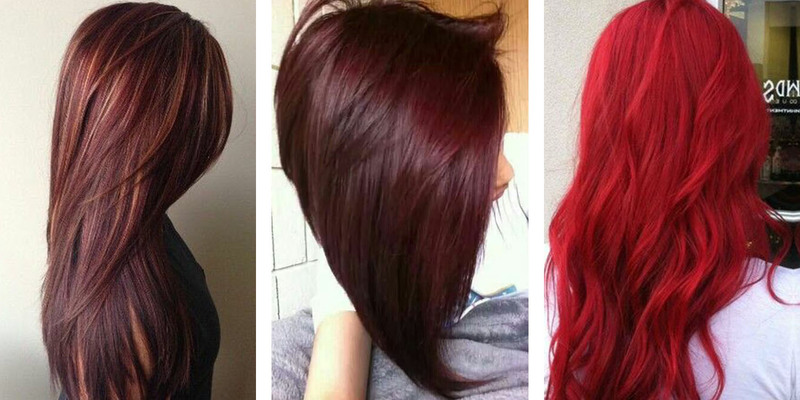 While selecting a crimson hairstyle, one should remember that there are various shades that are available for veering with brighter and darker tones, with gloss or without it, but all of them look luxurious like expensive jewelry. 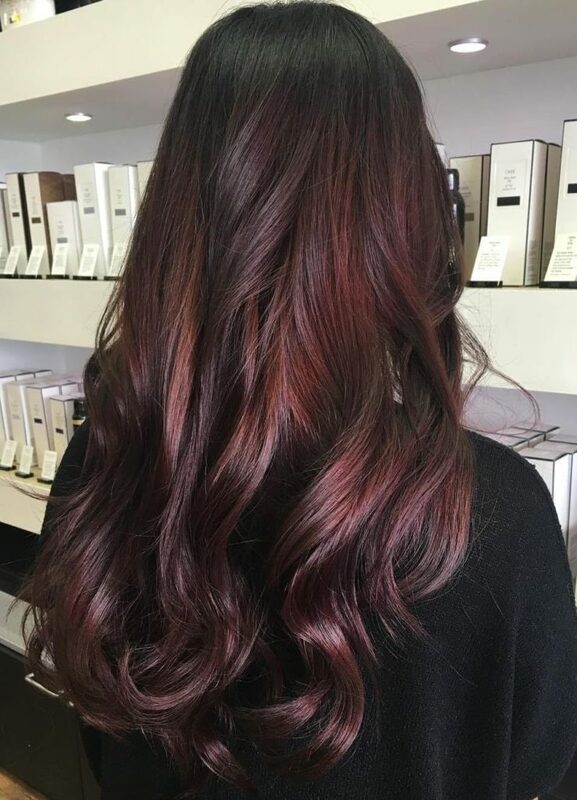 If you haven’t tried this color yet, consider this option as the new experience can often bring new pleasant surprises that might astonish you.